6.2 Earthquake hits the Kermedec Islands. 5.0 Earthquake hits the Andreanof Islands in the Aleutian Islands. 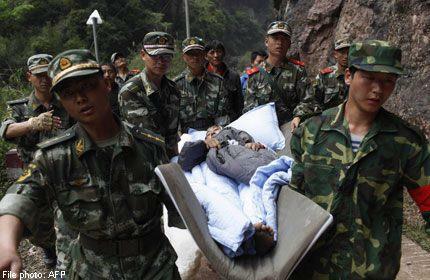 A 78-year-old man has been rescued five days after an earthquake hit southwestern China, killing 196 and making thousands homeless. A tropical storm damaged over 50 houses in Phitsanulok province while a severe drought continues to grip provinces across the country. The storm blew off roofs and destroyed rice fields and fruit orchards in many districts of Phitsanulok. Hailstorm with rock-sized hailstones have claimed lives of three Afghans. Up to 50 U.S. and Coalition military helicopters have been badly damaged. 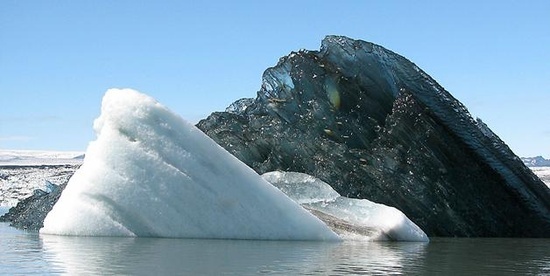 Photo of a black iceberg. The week’s hottest temperature was 114.8 degrees Fahrenheit (46.0 degrees Celsius) at Matam, Senegal. The week’s coldest temperature was minus 91.8 degrees Fahrenheit (minus 68.8 degrees Celsius) at Russia’s Vostok Antarctic research station. 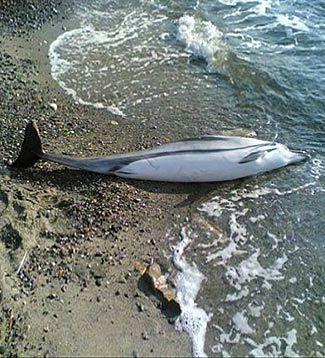 A viral strain that causes measles in humans has killed more than 100 striped dolphins that have washed up along Italy’s western coast from Tuscany to Calabria, as well as the island of Sicily so far this year. The country’s National Institute of Marine Sciences said that the death rate among the striped dolphins has dropped abruptly this month, possibly indicating the outbreak has run its course. The epidemic mostly affected young dolphins under the ages of 15 to 20 years. Taiwan health officials announced that a 53-year-old man who had recently traveled to China is hospitalized in critical condition with a novel H7N9 infection, the first such case to be detected outside of China. China reports three more H7N9 cases; total to 112 – Two of China’s provinces Thursday reported three more H7N9 influenza infections, while another province awaits test results for what may be its first case. A wildfire near Moriarty, New Mexico has burned one building. At least 28 fire fighters from Torrance County, State Forestry and the U.S. Forest Service are struggling to control the fire. Stromboli (Eolian Islands, Italy): Activity remains elevated, with magma filling the NE crater to the rim and sometimes relatively strong explosions. No significant new overflows have occurred since the last update. Etna (Sicily, Italy): Ash emissions and strombolian activity has continued since the last paroxysm and increased in frequency yesterday and today. The tremor signal has remained low, not suggesting that the volcano is in for another paroxysm at the moment, something quite different (so far) from the activity preceding the past paroxysms. Kizimen (Kamchatka): The slow growth of the lava dome continues with no changes reported by KVERT: Moderate seismic activity, incandescence of the volcano summit, hot avalanches on the western and eastern volcanic flanks, and strong gas-steam activity accompany this process. Tolbachik (Kamchatka): The eruption continues to produce lava flows from the Southern fissure on Tolbachinsky Dol. KVERT reports strong tremor at a very gradually decreasing rate over the past weeks. Colima (Western Mexico): Activity consisting of rockfalls, small pyroclastic flows and weak explosions continue with little changes during the past days. Popocatépetl (Central Mexico): A moderate-sized explosion occurred yesterday, producing an ash plume rising 1.2 km and throwing incandescent bombs to 500 m distance on the outer flanks of the volcano. Small explosions occur at an average rate of one per hour and a large steam plume is often rising to about 1 km above the crater. Incandescence continues to be visible at night at the crater. Small volcano-tectonic earthquakes have been relatively frequent during the past days as well. Fuego (Guatemala): This morning, a new lava flow emerged from the crater and started to flow down the southern flank towards the Trinidad canyon, reaching a length of 300 meters. Explosions continue and produce ash plumes rising to 4-4.2 km altitude (300-500 m above the crater), generating weak to moderate rumbling avalanches. INSIVUMEH warns that this activity could increase towards a more intense eruptive phase in the coming days, with larger explosions, and possibly pyroclastic flows. The other active volcanoes in Guatemala have not changed in their activity: Pacaya has weak strombolian activity, while the lava dome of Santiaguito, relatively calm these days, produces occasional weak explosions and weak avalanches from the active flows descending the flanks of the dome. Telica (Nicaragua): The earthquake swarm shows no sign of weakening. The frequency of quakes remains high, although most are very small in magnitudes. San Cristobal (Nicaragua): Weak continuous volcanic tremor has slightly increased during the past days at the volcano. Nevado del Ruiz (Colombia): Earthquakes and tremor have decreased to low levels again. Probably, the latest magmatic intrusion has come to an end (with no significant eruption). Reventador (Ecuador): Activity has decreased lately, with only occasional small explosions and weak steaming observed. The MODIS data show no longer a hot spot, suggesting that lava effusion has more or less stopped. Tungurahua (Ecuador): Activity (both internal and external) has remained low.